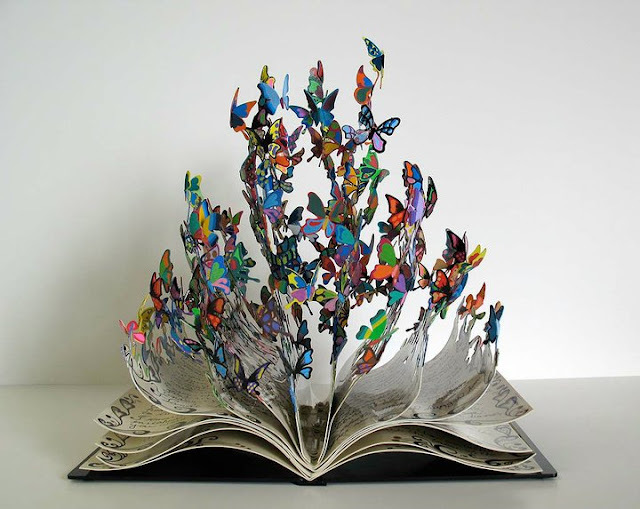 Artist David Kracov was commissioned to create an award to be given in honor of, and named for, the late director of Chabad's Children of Chernobyl. 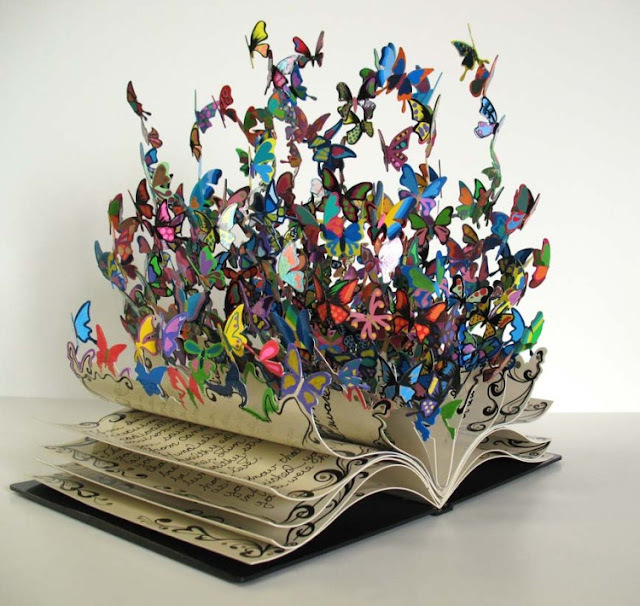 Called the "Book Of Life", it was inspired by the extraordinary life of Rabbi Yossi Raichik, a man who saved thousands of children's lives from the devastating effects of the Chernobyl disaster. 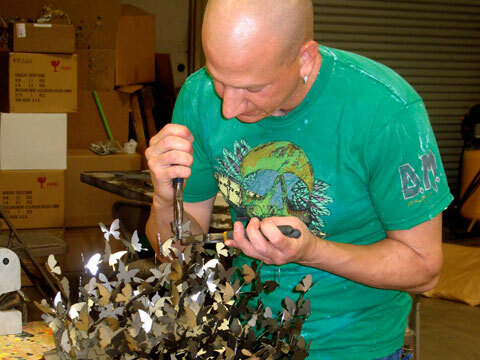 The metal sculpture has pages filled with words from those he touched, and also features a flurry of butterflies, each representing the 2,547 children he helped save and give new lives. 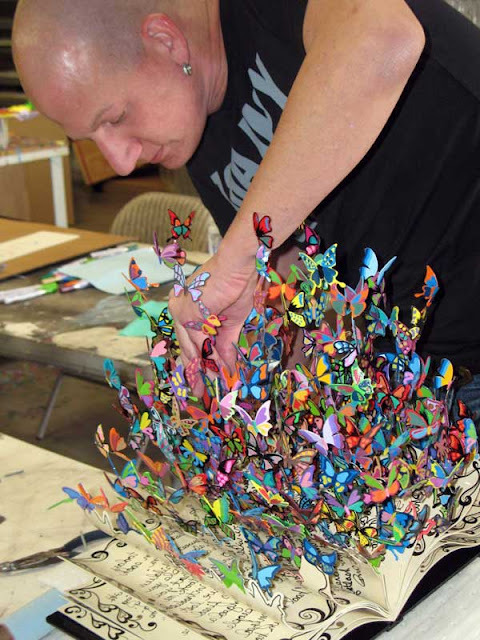 Below are the making of photos along with some snapshots of the finished sculpture.